FedEx has been added to the list of companies dropping hints about the iPhone 5 release date, with an insider revealing a company memo that is about dates between September 21 – 24. AT&T, Verizon and Apple have all banned employee holidays on the date as well. It isn’t just coincidence that FedEx are sending out memos about a “surge volume” within those three days, the days the iPhone 5 is likely to be delivered to people’s doorsteps. The report tells employees that all training classes scheduled between those times are to be cancelled and moved back to November, which is two months away.It seems this “surge volume” may be going on for at least a month and a bit. After the conspicuous September 12 event, that had the 5 shadow, we’ve noted that a quick release date is likely – that, and the iPhone 5 has always had the September 21 release date labelled on to it by various leaks and reports. FedEx did not report on what product the “surge volume” accounts for or if it is one or maybe a few products. Many have pushed away the idea that the iPad Mini will come with the iPhone 5 launch, considering these both to be pretty headline products, they may get in each other’s way. Instead, two or three new iPod’s may come alongside the iPhone 5, or maybe a new Mac or MacBook Pro. 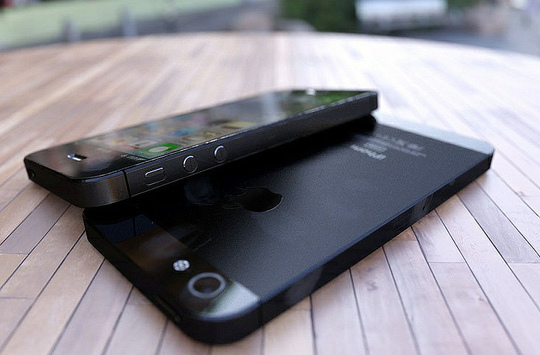 All in all, these will just be little add-ons to the main event, the iPhone 5. The iPhone 5 is said to be the biggest selling phone in the history of mobiles, some say that Apple may make one hundred million sales with the iPhone 5, while some even proclaim it could be a quarter of a million sales throughout the iPhone 5’s lifetime. It does seem to be the most wanted gadget, and Apple fans have been awaiting the iPhone 5 for quite a while now, since the last iteration of the fourth generation came out. We are expecting a lot from the launch on September 12, hopefully Apple won’t become over-cumbered with all theseproductsthey are apparently going to reveal and release within the next two months. Again, Tapscape will keep you posted on all iPhone 5 news and rumours.